Ricoh India is one of the leading data center service providers in the country having state of the art Data Centers in New Delhi and Kolkata. The Data Center is precision-controlled air-conditioning systems with incorporated N+1 redundancy. We guarantee uninterrupted uptime of your server thanks to our backup power lines, high capacity power generators, electricity lines and lease lines. 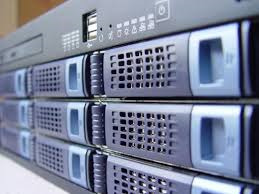 The security and safety of your server and the Data Center is of prime importance and we ensure the same by having state-of-the-art fire detection and suppression systems. Sophisticated onsite security through surveillance cameras and advanced biometric systems to prevent unauthorized entry. Networking equipment are fully redundant high-end switches and routers, BGP4 routing for optimal path selection and full redundancy, etc.